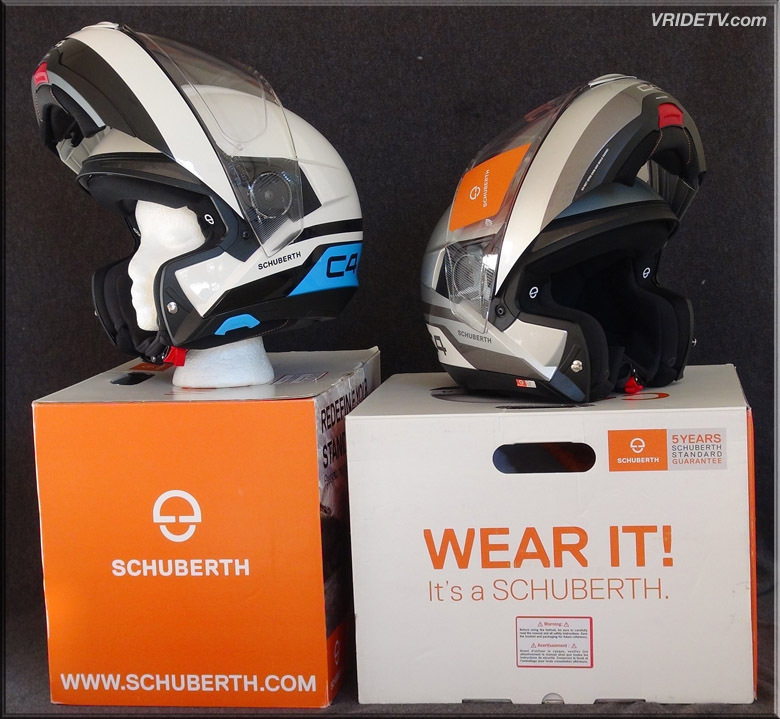 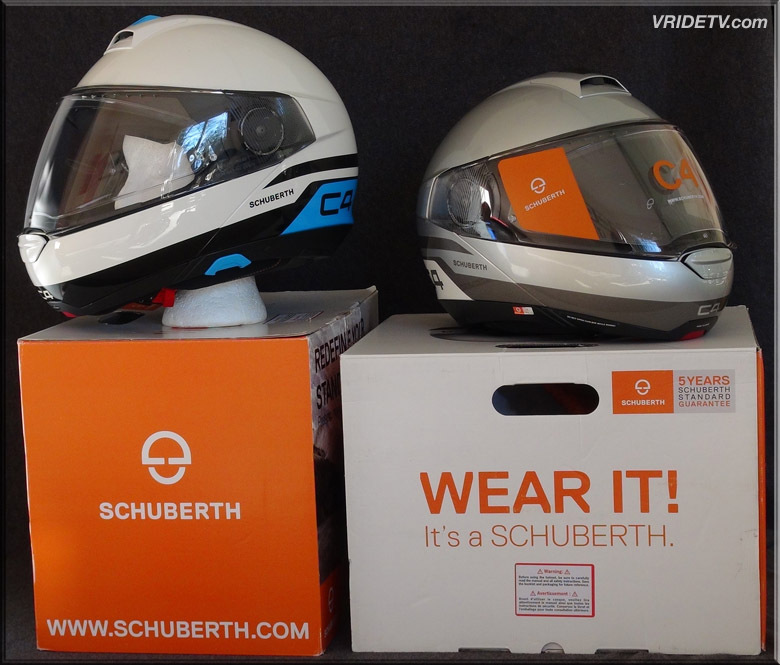 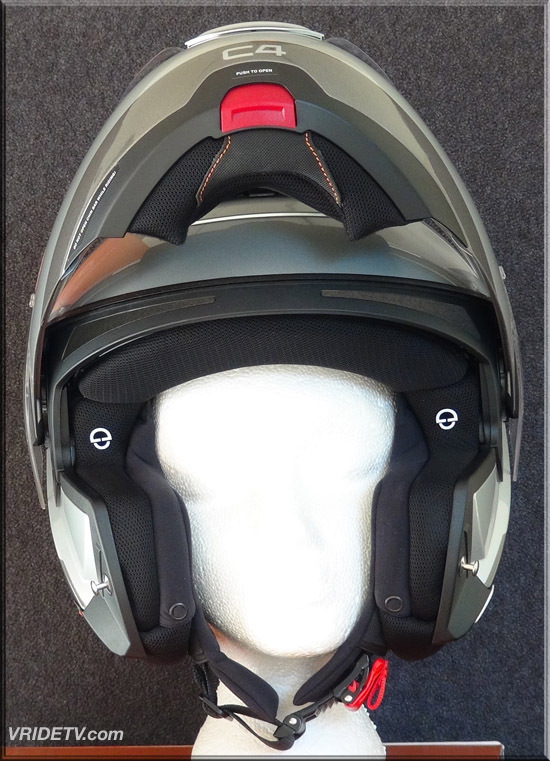 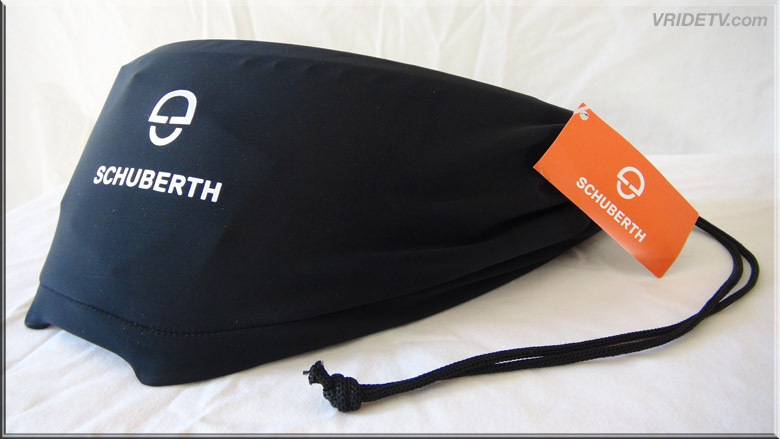 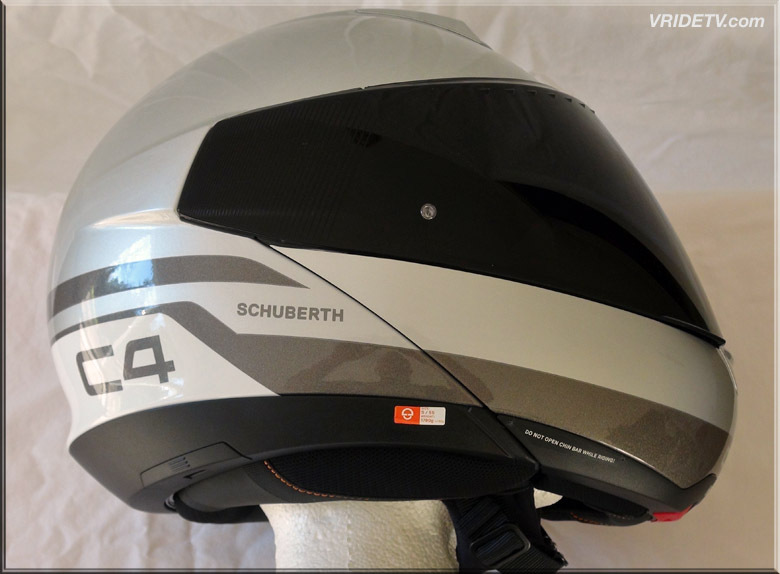 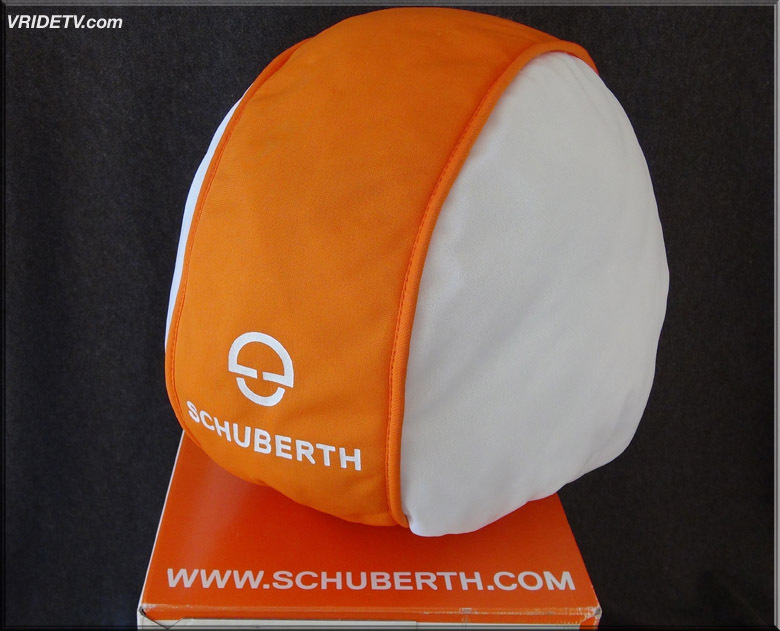 Visit the SCHUBERTH website and see their full line of Head Protection. 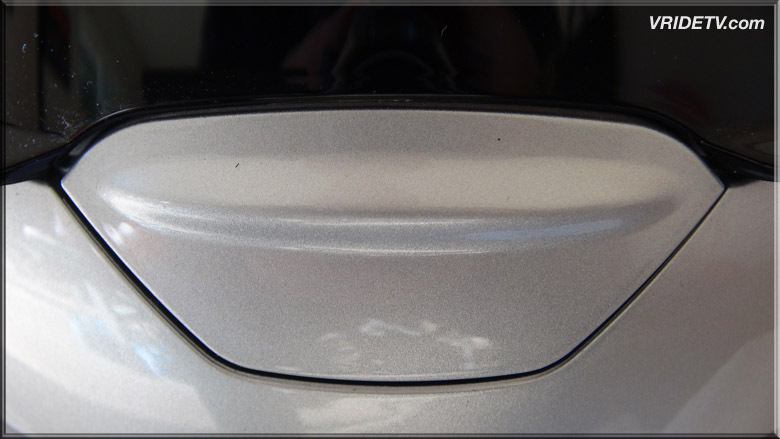 Unmistakable German engineering. 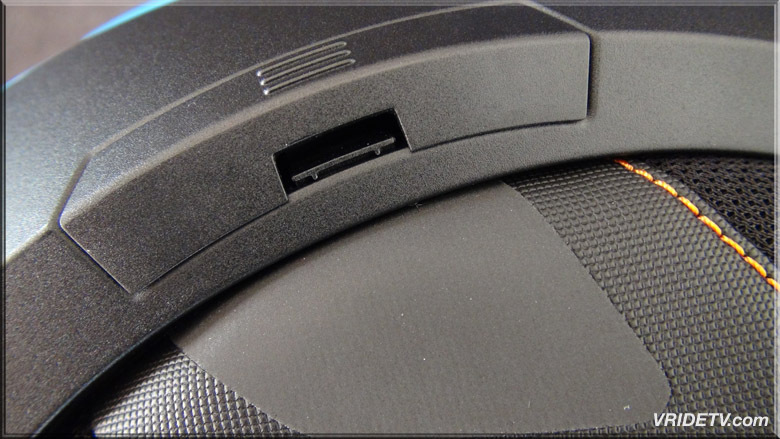 Radical, compact shell design. 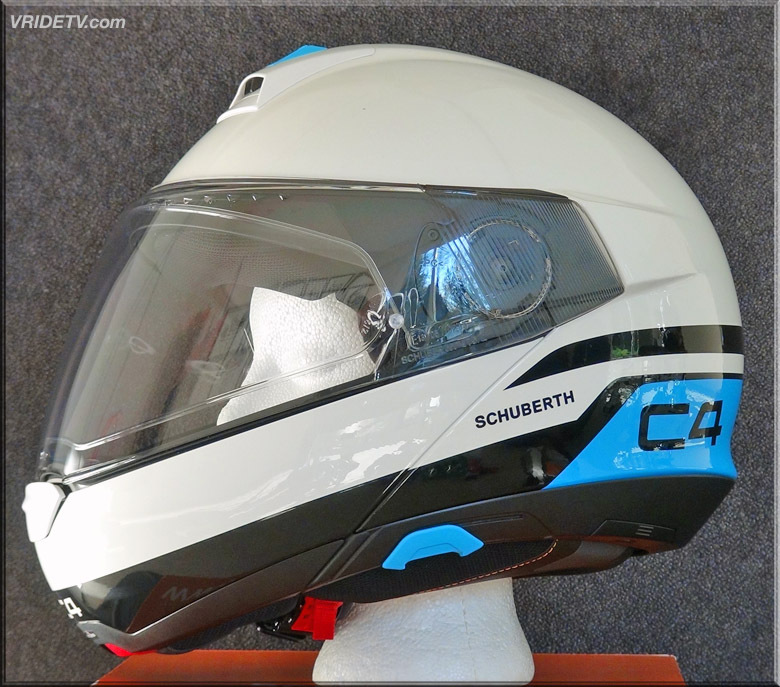 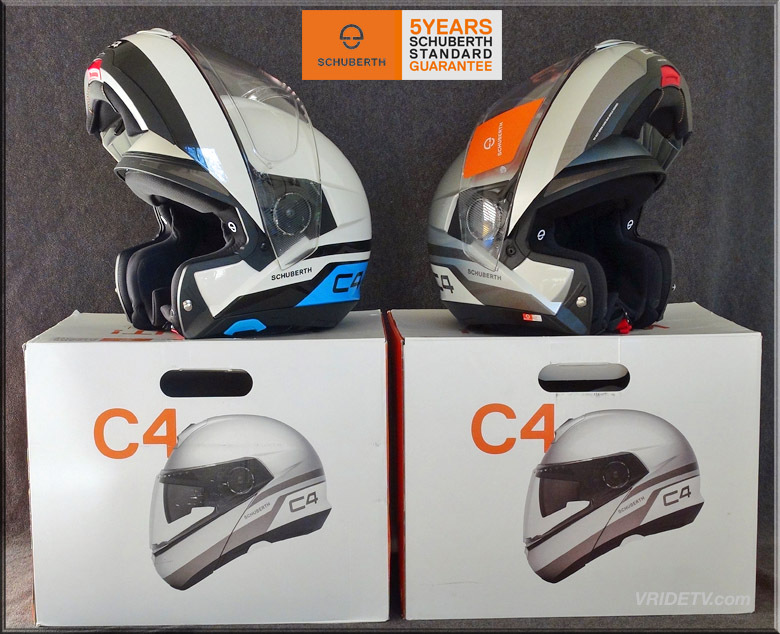 Schuberth has again redefined the standards for premium modular touring helmets with the introduction of the Schuberth C4 Helmet. 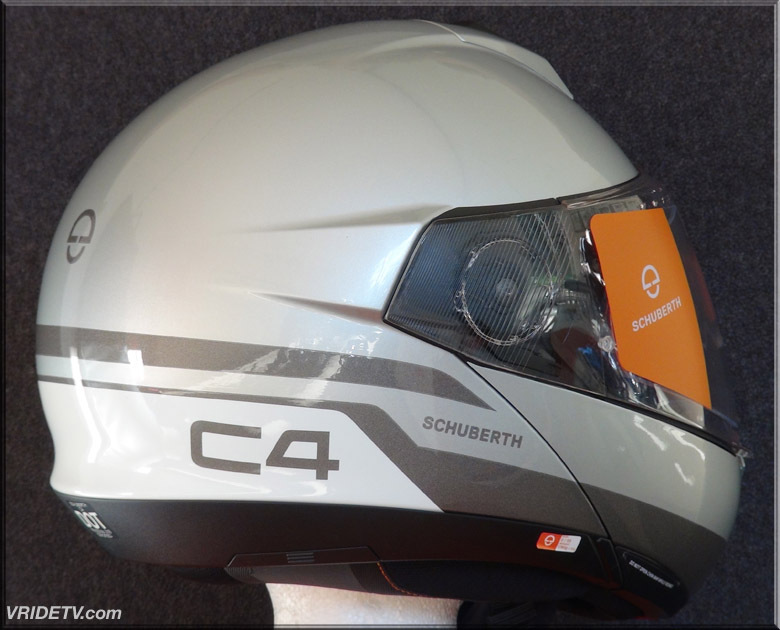 The lean form of the Schuberth C4 Helmet has been extensively tested and aerodynamically optimized for both stability at speed and low weight to minimize fatigue on long tours. 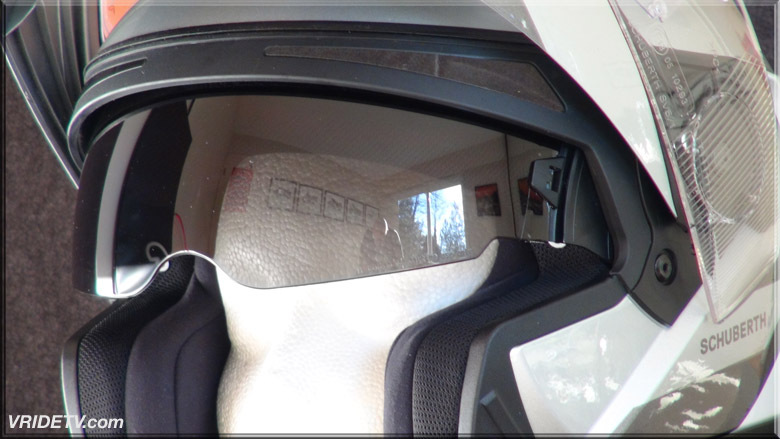 Discover a riding experience similar to sitting in the cabin of a luxury German sports car. 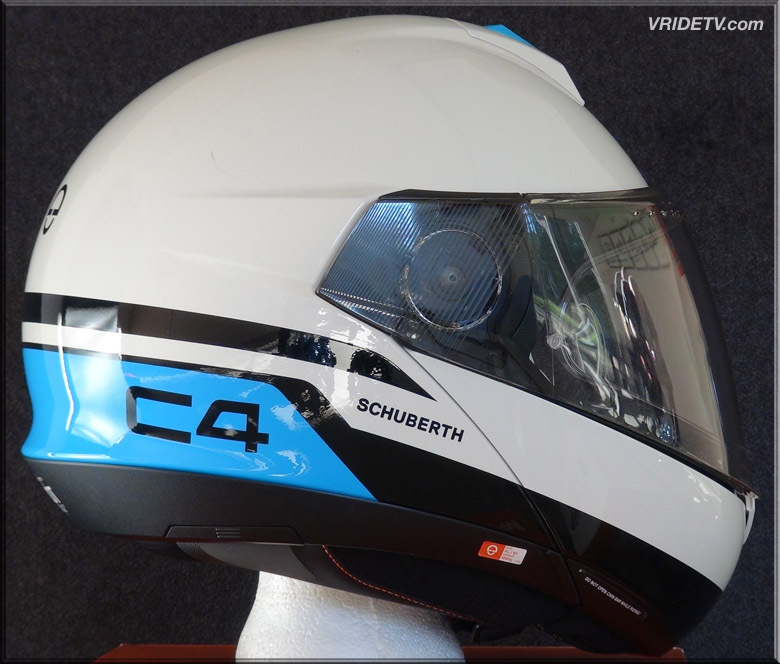 The Schuberth C4 Helmet is designed for riders who accept only the best, and can appreciate the difference. 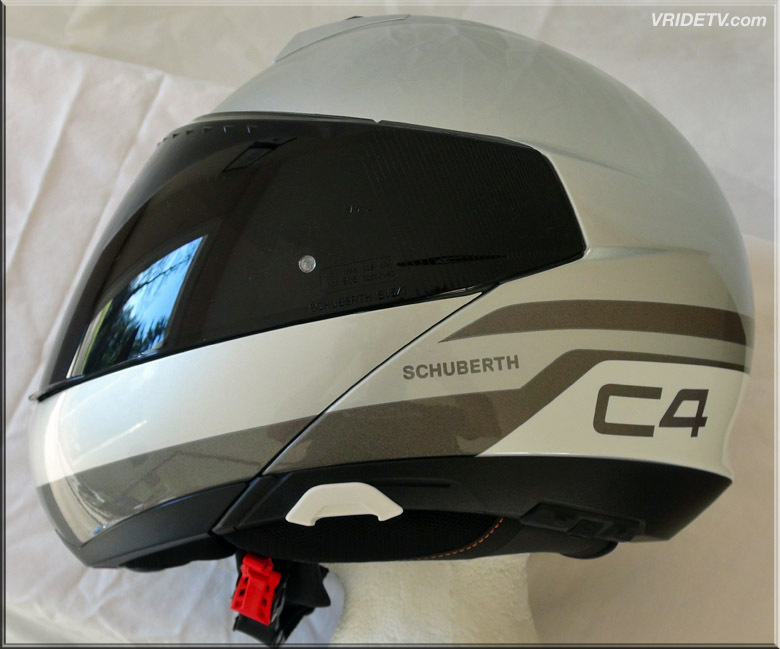 The outer shell of the Schuberth C4 Helmet is constructed using an innovative proprietary method called Direct Fiber Processing (DFP). 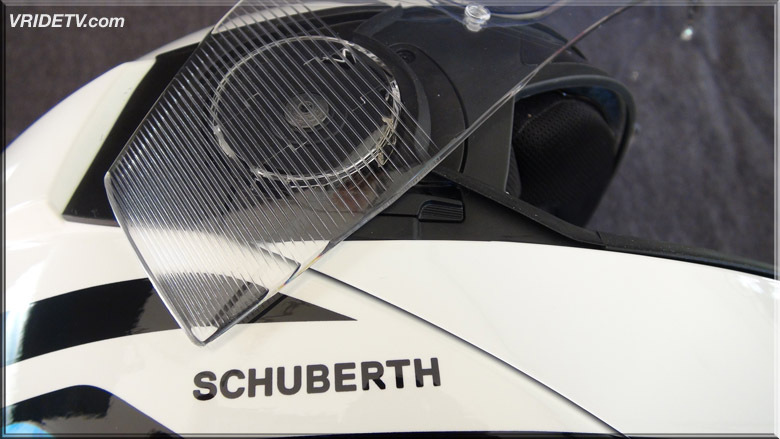 A continuous strand of glass yarn is robotically precision cut and blown outward into position in the mold. 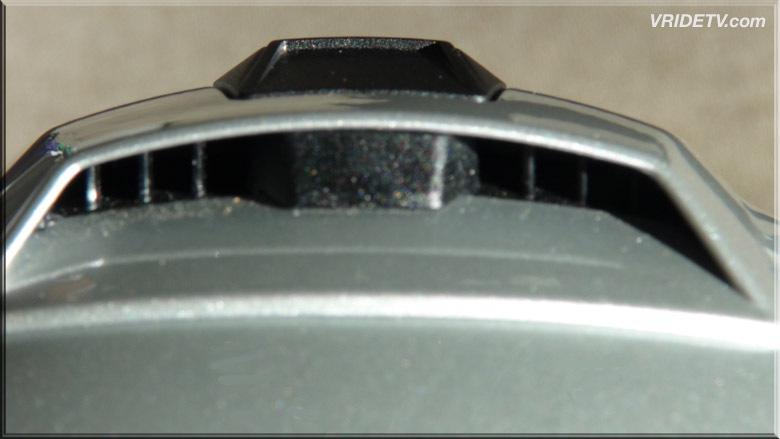 An exacting amount of resin and heat are added under high pressure, yielding a shell of superior strength that is no thicker in any one area than it needs to be. 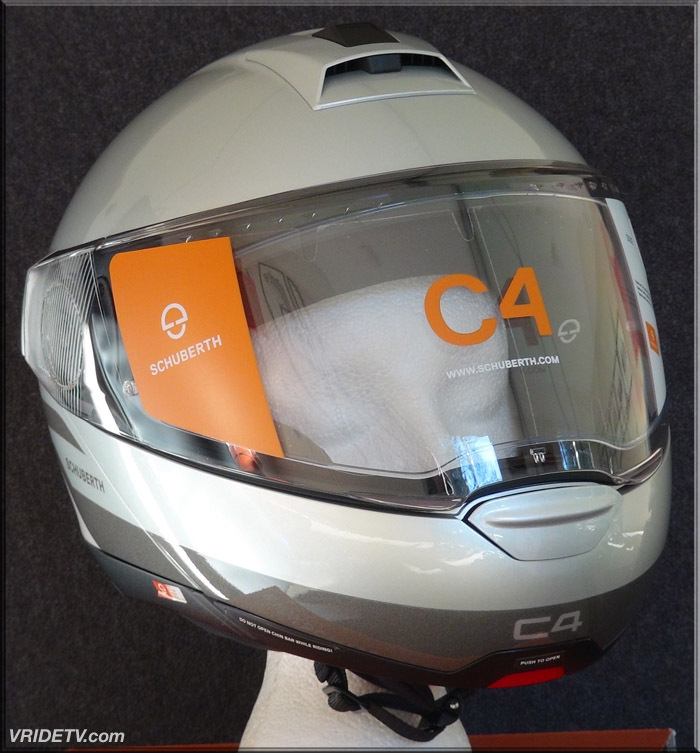 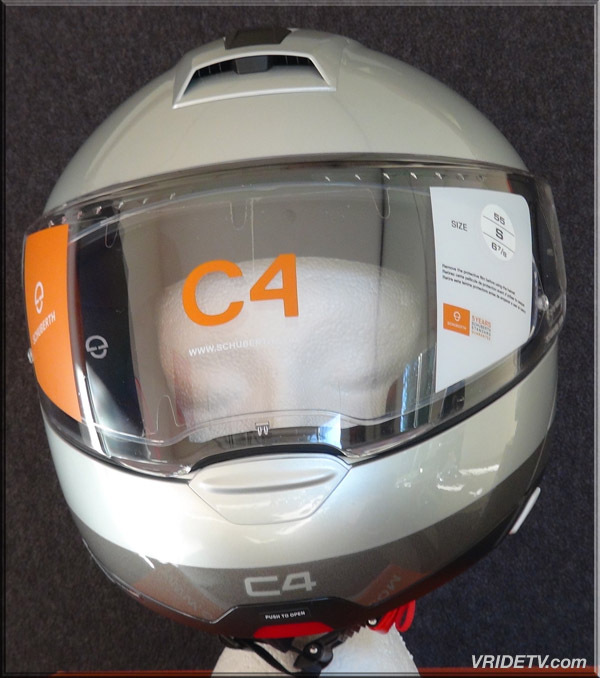 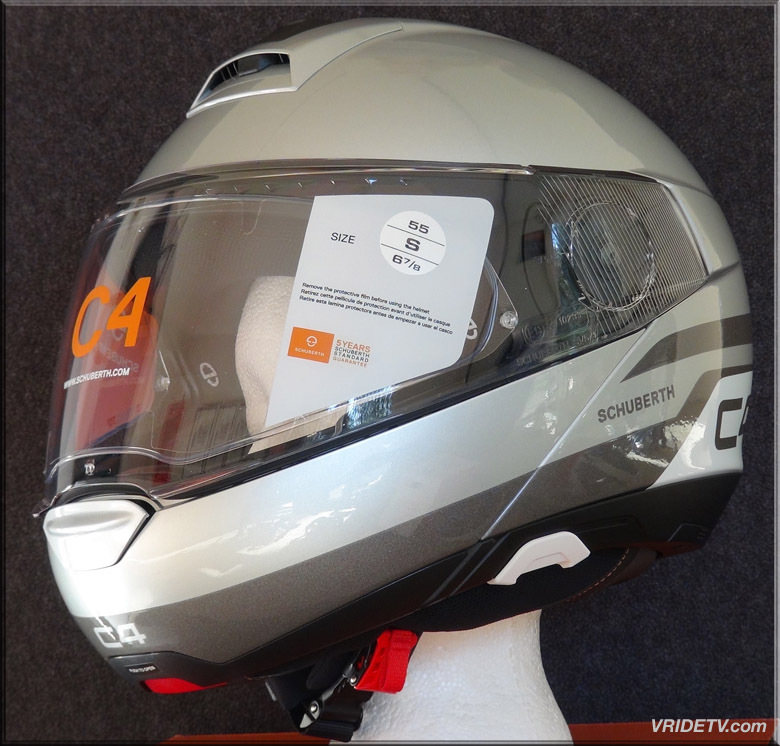 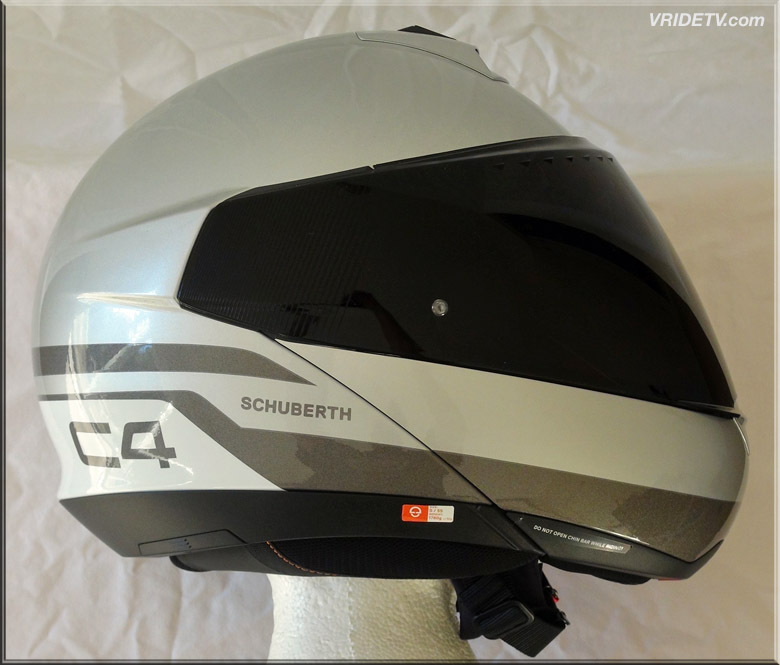 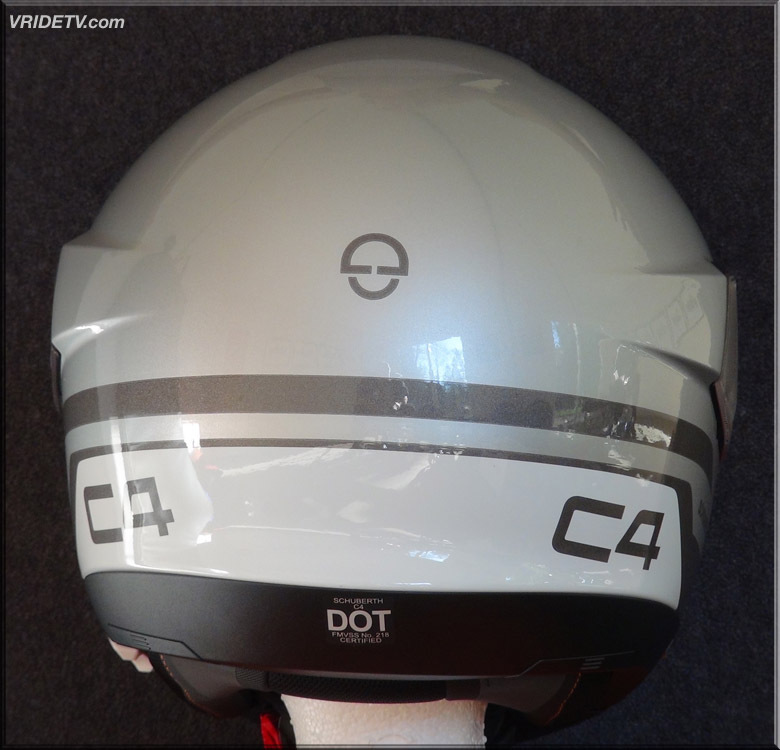 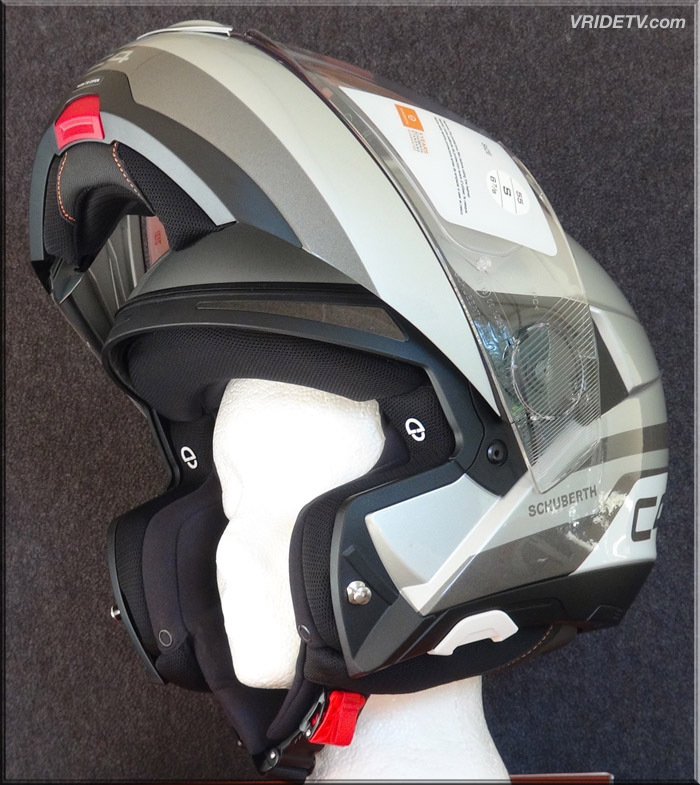 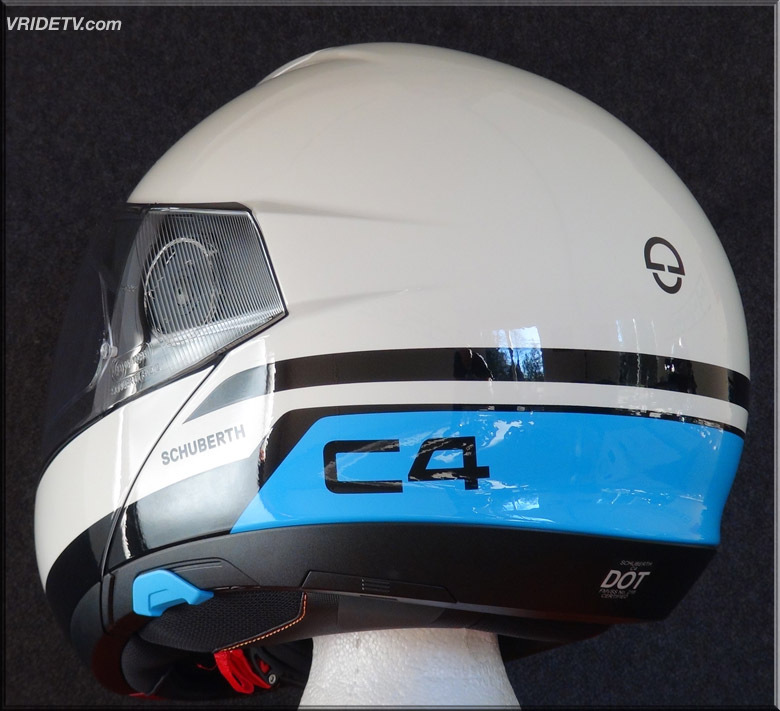 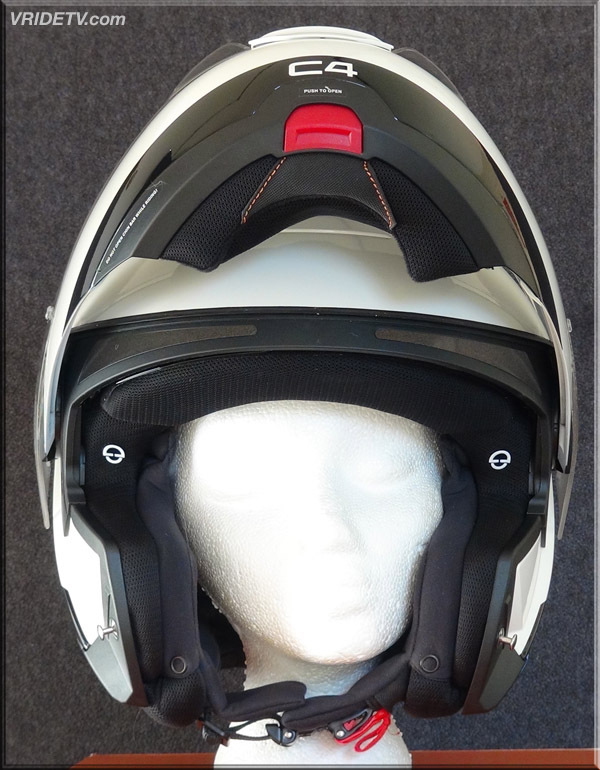 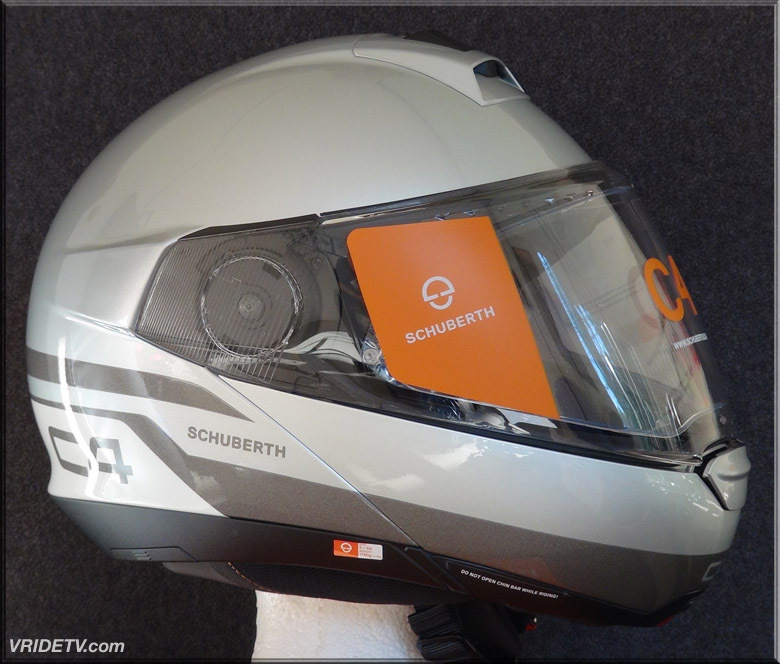 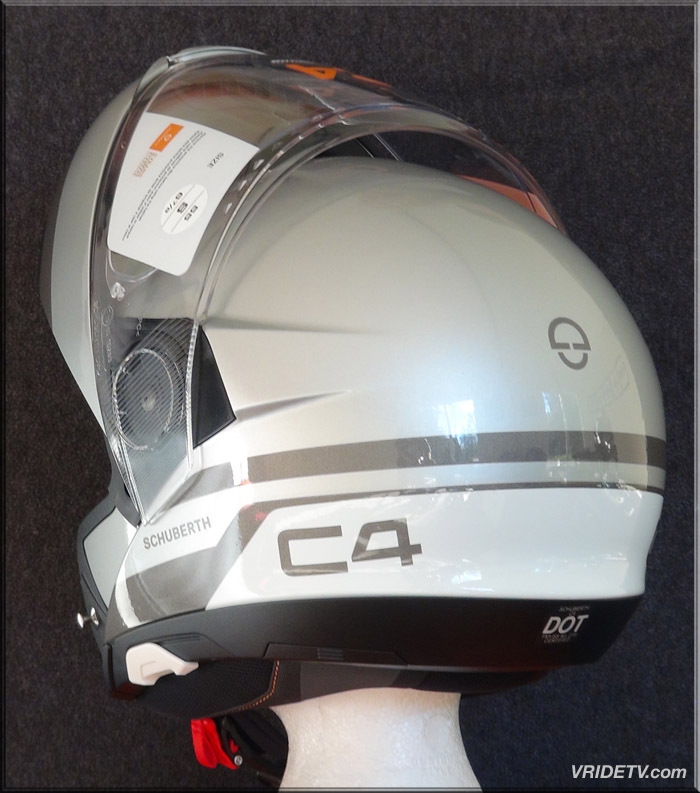 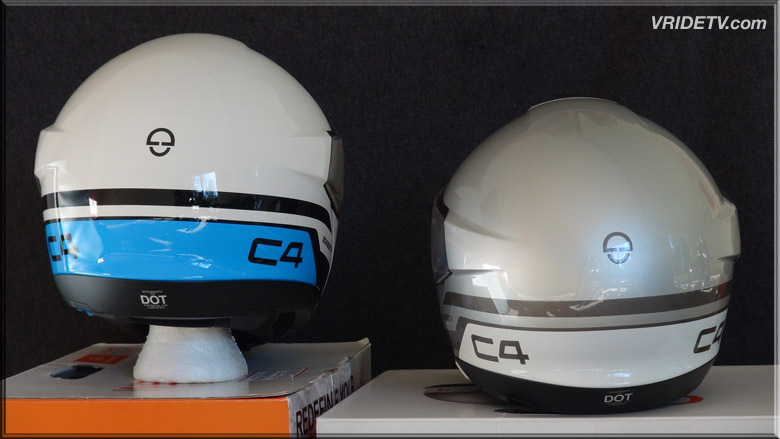 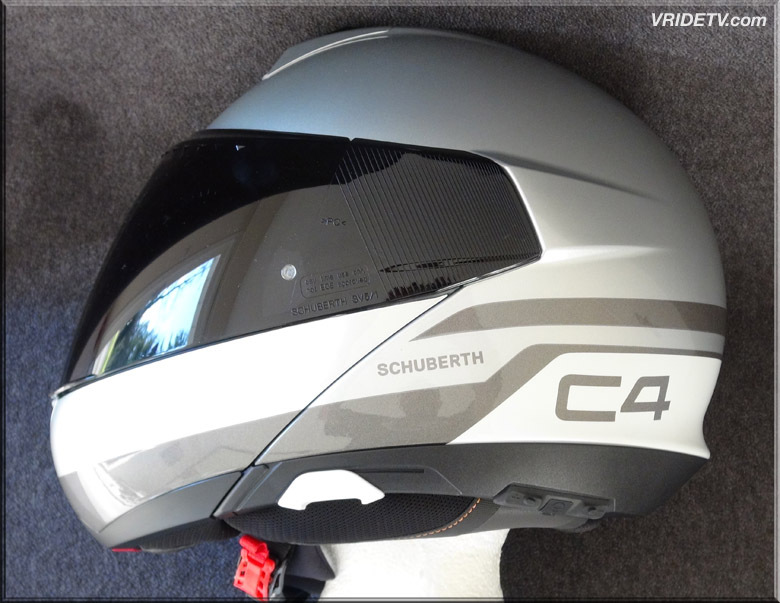 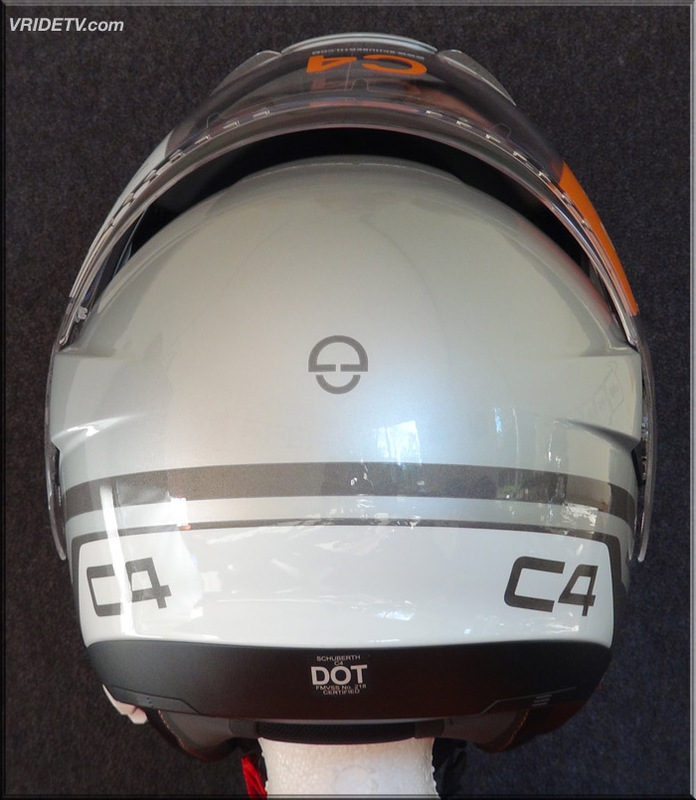 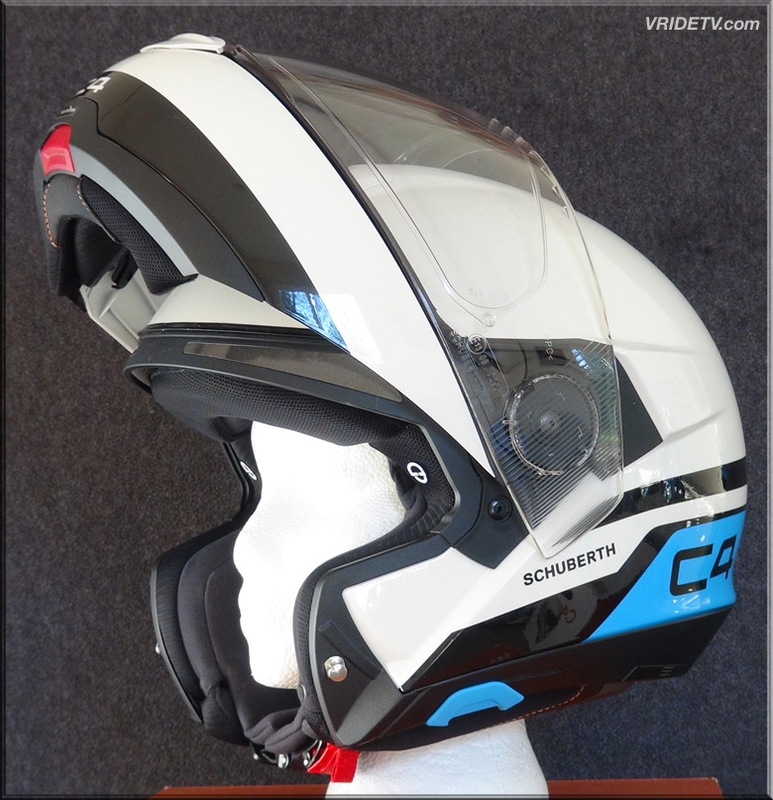 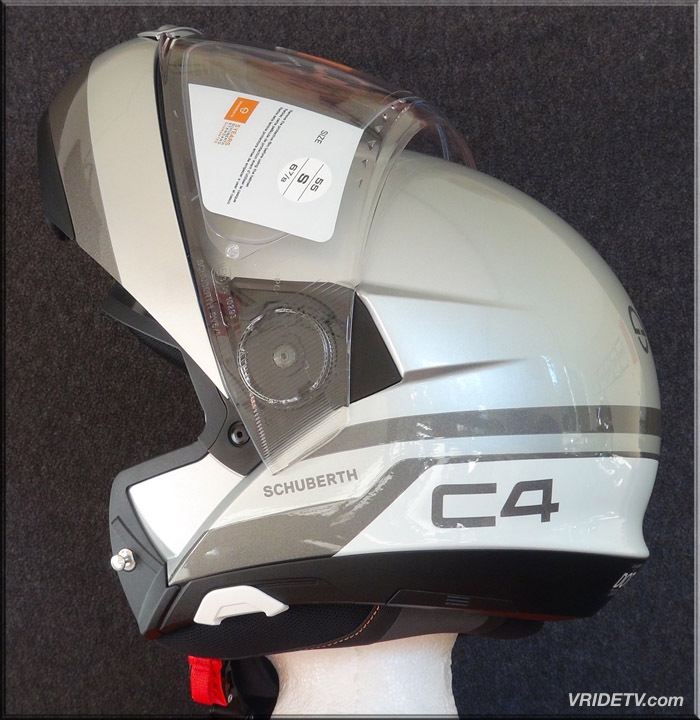 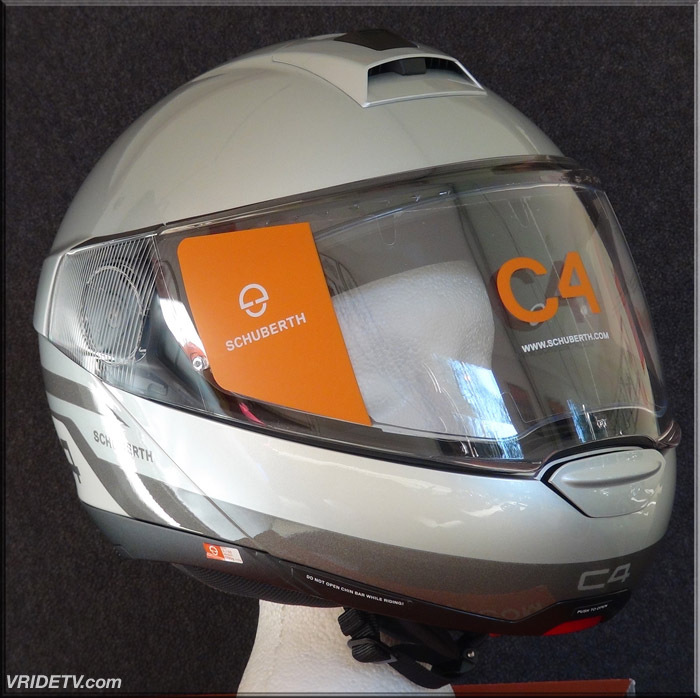 The C4 Helmet comes equipped to accommodate the SCHUBERTH SC1-System (sold separately). 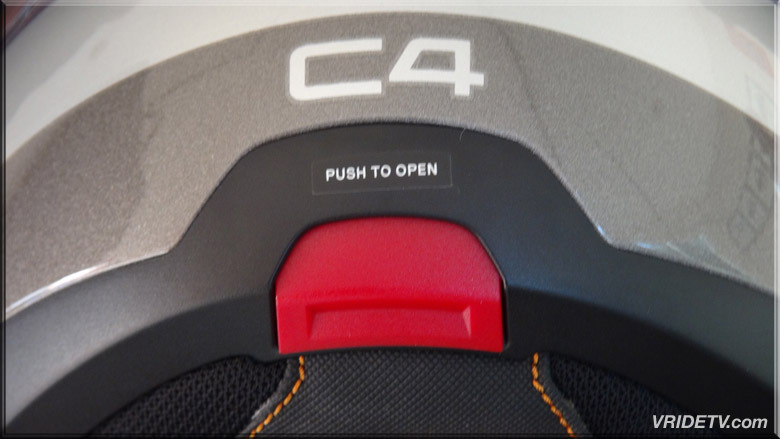 To guarantee ideal reception, the C4 comes out of the box with integrated antennae to boost reception, as well as pre-installed speakers and microphone. 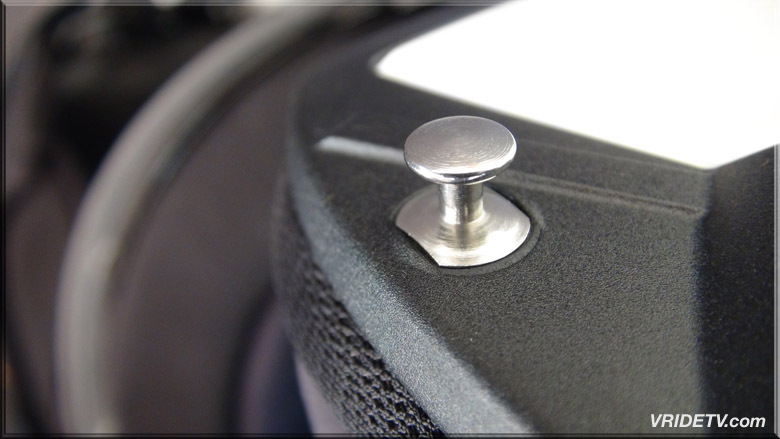 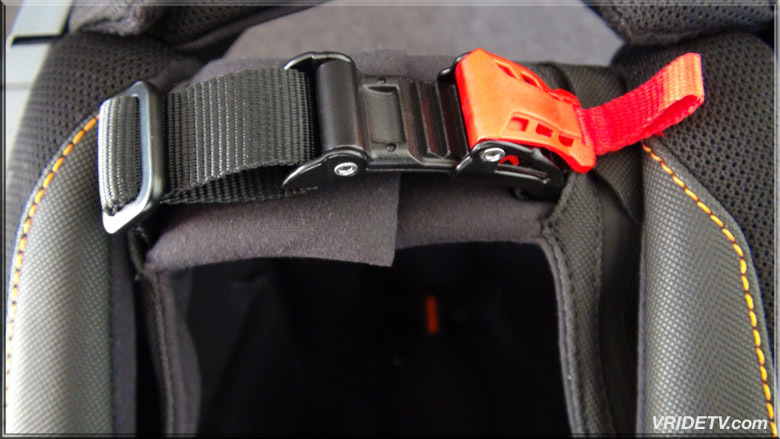 The EPS foam impact liner uses a sectional, multi-part design to ensure the highest shock absorption for various impact scenarios. 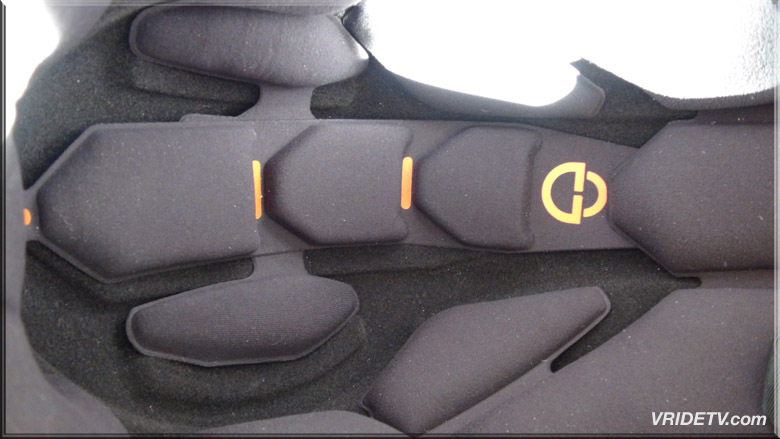 This complex segmentation guarantees enhanced force absorption and distribution. 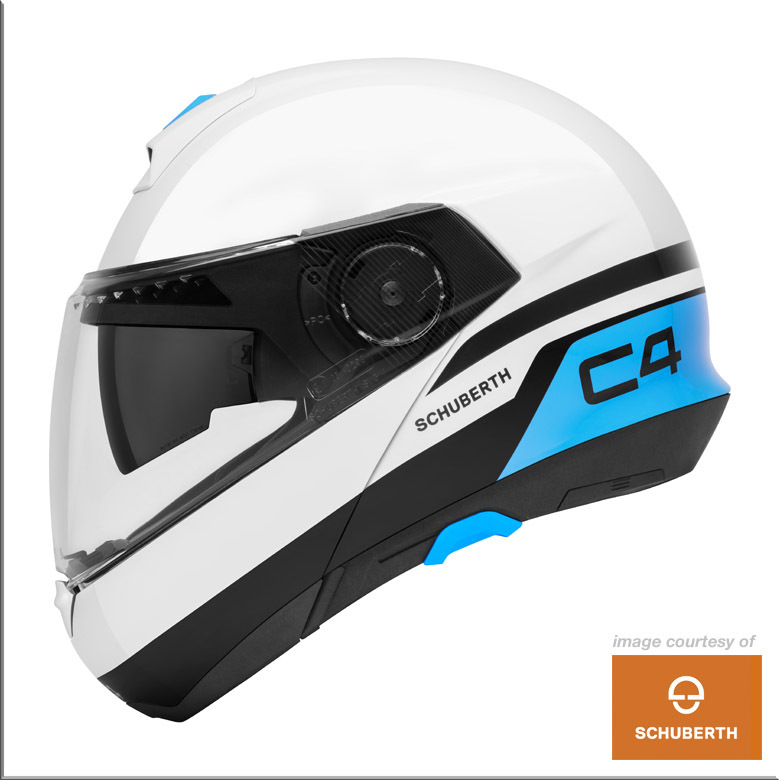 The comfort liner of the Schuberth C4 Helmet utilizes ShinyTex®, a fabric inherently antibacterial, washable and fast-drying. 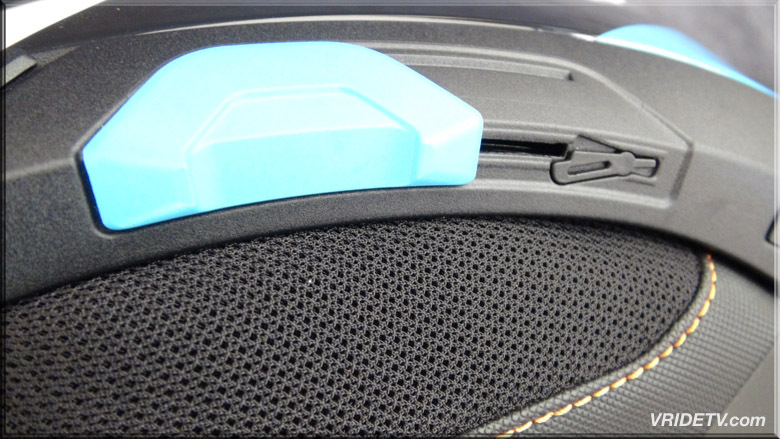 A seamless headliner and integrated spectacle channel ensure maximum comfort for all riders. 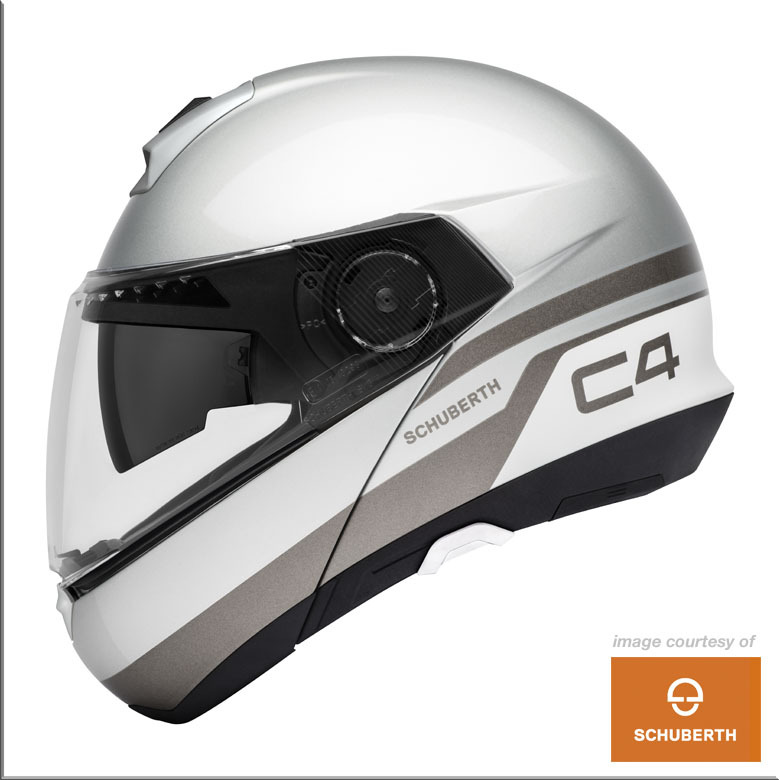 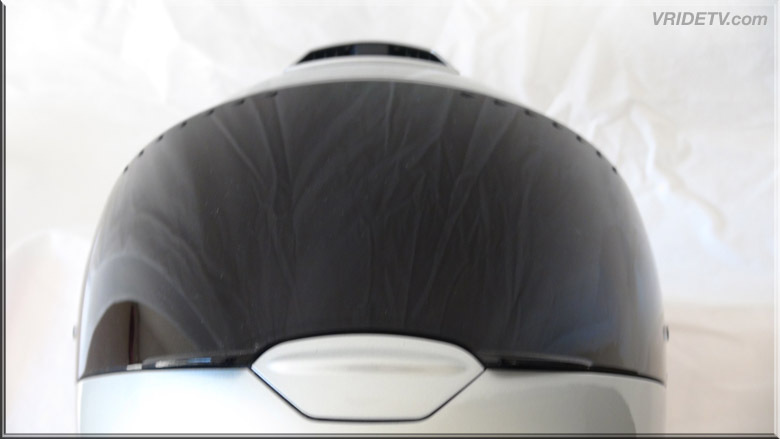 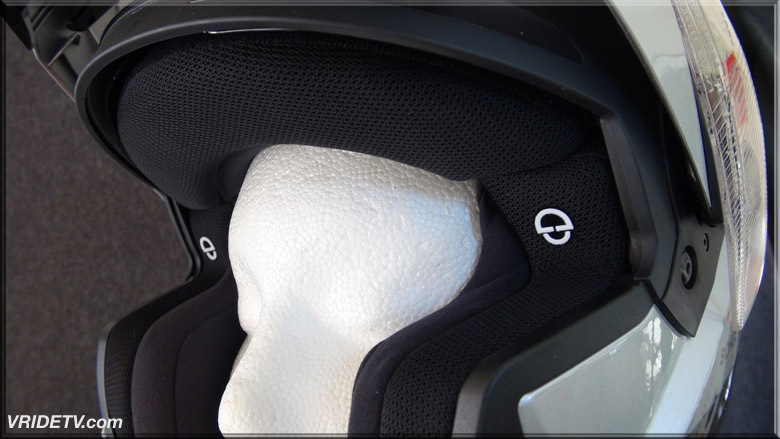 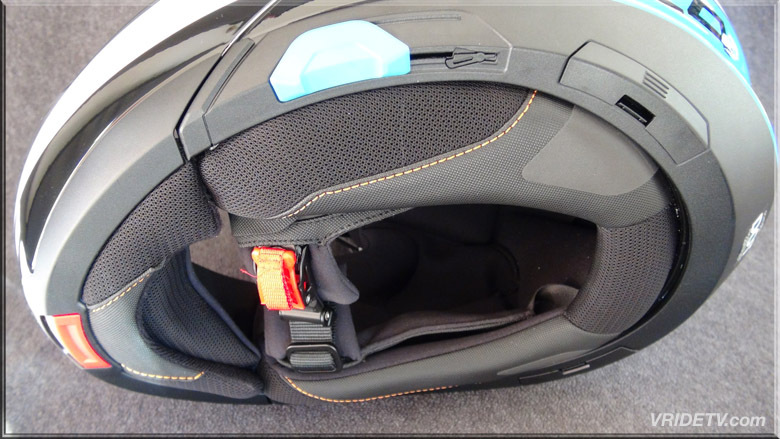 The Schuberth C4 features an intricately designed multi-channel ventilation system inside the helmet shell, resulting in extraordinarily quiet, substantial air flow. 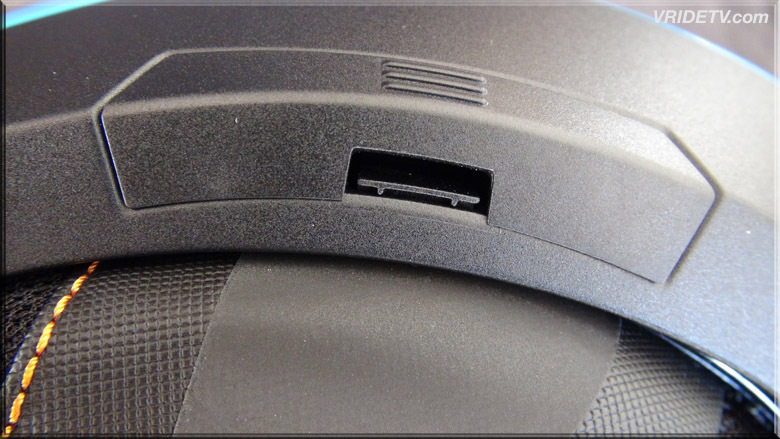 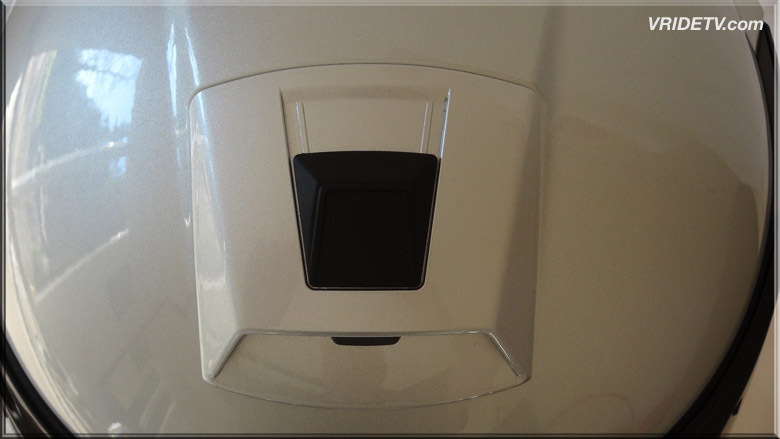 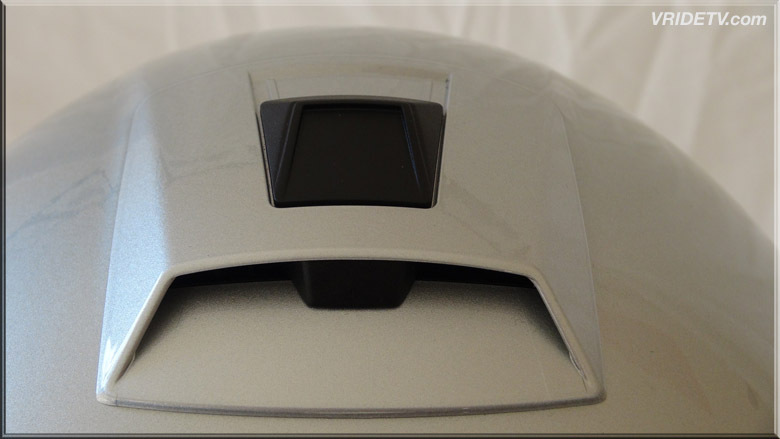 Inlets in the forehead and chin area ensure that you keep a cool head. 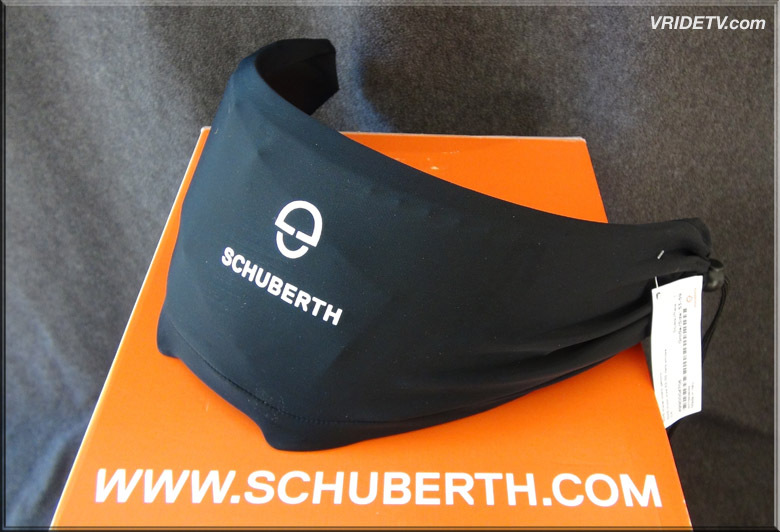 Extra large anti fog lens for the widest possible field of vision, both centrally and peripherally through the oversized eyeport .